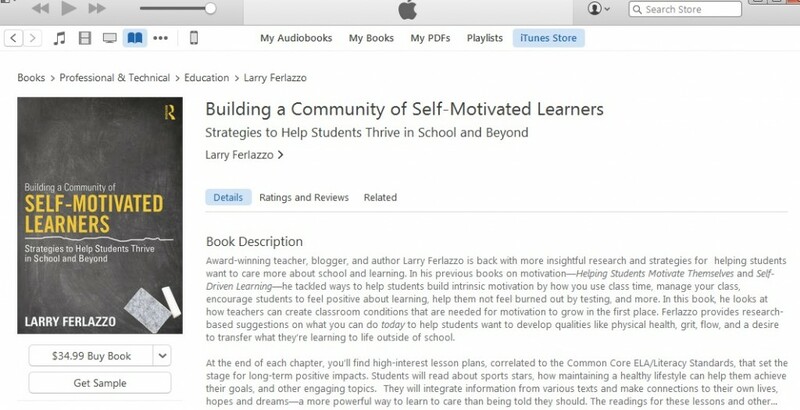 The Kindle & iBook Versions Of My New Student Motivation Book Are Available Now! Thanks to a tweet from Jessica Haralson, I learned that, though the paperback and hardcover versions of my new student motivation book won’t be out til this Friday, the ebook versions are now available for Kindle and iBook. Look for more book excerpts in the Washington Post, Education Week, and Edutopia this week!